The BJP Thursday fired off 10 questions to the Congress on the second anniversary of demonetisation, asking why its finds merit in protesting every "anti-corruption" measure of the Narendra Modi government and accusing it of "living in denial" despite a surge in GDP numbers. The Bharatiya Janata Party's counter-attack came after former prime minister Manmohan Singh led the Congress' charge against demonetisation, as he dubbed it an economic misadventure which roiled the nation and whose "scars and wounds" are getting more visible with time. "Why does the Congress find merit in protesting against every anti-corruption measure of the Government of India? What do they fear? Why is it that wherever black money is there, the Congress is not far behind?" the BJP posted on Twitter. What sort of politics and "anti-development mindset" the Congress has that opposes a bold move that has widened the tax base, it asked. The ruling party further queried if Congress can name even one stringent measure aimed at eliminating corruption and black money it took during the UPA government. "Is the Congress living in a state of denial that it cannot see the surge in GDP numbers, the 'Ease of Doing Business Rankings' and Global Competitiveness Index? Why are they unhappy that India's economic prowess is being recognised world over?" the BJP asked. The saffron party also took a dig at the former finance minister P Chidambaram over his criticism of the government's economic policy, saying he is himself under radar of investigating agencies for "massive corruption" involving land, cash and foreign bank accounts. In its chargesheet in the Aircel-Maxis case of money laundering, the Enforcement Directorate has named Chidambaram as an accused. The former finance minister has said he would contest the charge in court. The BJP said India in the last two years has seen an increase of more than 20 million tax returns. "Is this why you were opposed to demonetisation?" it asked. Countering the Congress' charge that demonetisation harmed the informal economy, the BJP said the move in fact led to formalisation of the economy, which has empowered the poor and marginalised, who were mostly involved in the informal economy, many of whom came from lower middle class. "The Congress now remembers small business but did the UPA think of this sector even once? Except tax terror, raid raj and arbitrary policies, what did Congress do for small businesses?" the BJP asked. Why is it that whenever India's standing in the world increases the Congress takes to defaming India and creating an atmosphere of gloom to "mislead" the people, it said. At a press conference, Congress spokesperson Anand Sharma alleged that demonetisation was a "big money laundering project" while slamming the government for its handling of the economy. In his statement, Singh described the measure as an "ill-fated" and "ill-thought" exercise, adding that the havoc it unleashed on the Indian economy and society is now evident to everyone. 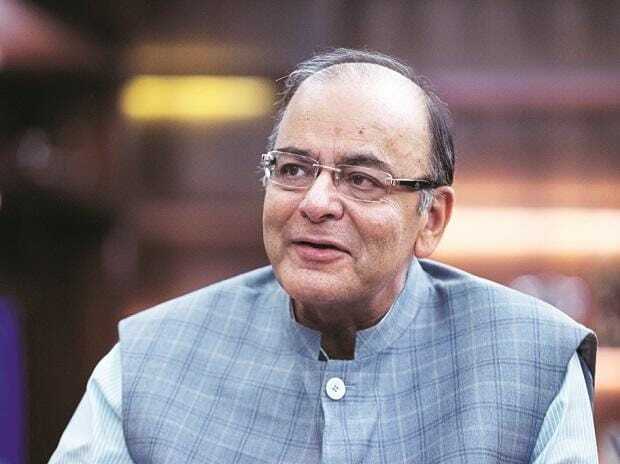 Finance Minister Arun Jaitley made a strong defence, saying demonetisation resulted in formalisation of the economy and increased tax base, with the government earmarking more resources for the poor and infrastructure development.